Mission Statement: Providing a well-founded community of compassionate Dental Professionals to care for patients one smile at a time! SubstiToothFairy, LLC bloomed in the state of Delaware in 2008 by Seta Babayan. There was a high urgency of the Delaware Dental Community to be serviced especially since there was NO AGENCY to call on for help! With Delaware missing this vital link, Miss Babayan felt it necessary to bridge the gap of Dental Practices needing help and Dental Staff needing employment. Long before SubstiToothFairy was started, Miss Babayan, passionate about the dental field, gained hands-on experience by temping in 100+ offices, commuting great distances, sometimes working in two offices on the same day. SubstiToothFairy understands and continues to learn all the demands of all Dental Offices in Delaware, Pennsylvania, Maryland, and New Jersey, that reach out for help and therefore hand-picks only the BEST workers to represent SubstiToothFairy. We hold standards high by designing an intricate interview along with a Dentist feedback system that will aid in keeping standards at a supreme level. 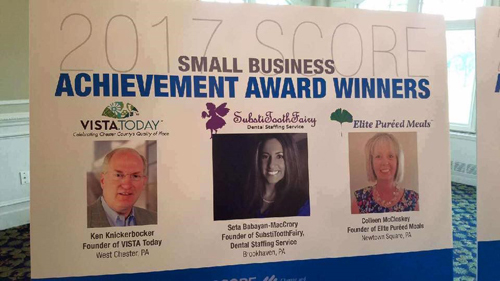 SubstiToothFairy strives not only to service the needs between Dental Practices that are in need of staff in order to maintain flow of the office and keep patients’ happy, but also to create jobs for professional dental staff looking for work in the states of Pennsylvania, Delaware, Maryland, and New Jersey. At the young age of 14, I began working in a dental practice as a “gopher”. I learned about the dental practice from the ground up. I truly loved the experience while in high school, it motivated me to apply to Harcum College Dental Hygiene Program after graduating Upper Darby High School. I was accepted into their program and graduated with my Associate’s in Applied Science in 2004. I was also awarded the Edith Harcum Scholarship for exemplary work two years consecutively 2003, 2004. I also participated in Student Government Association 2001-2003 and was elected president of the Student Government Association in 2001. Throughout hygiene school, I actively participated in Student Dental Hygiene Association. I’m proud to say I am dually licensed to practice Dental Hygiene in Delaware and Pennsylvania and take pride in my career as a Dental Hygienist as well as being an Entrepreneur. 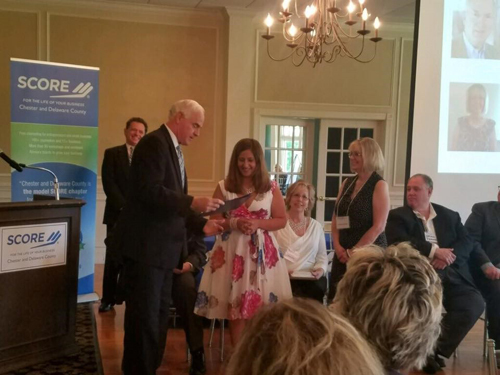 In June 2017, I was awarded with SCORE’s Small Business Achievement Award and recognized by elected officials on State and National levels for the service I am able to provide our community and also for creating employment opportunities for dental professionals.